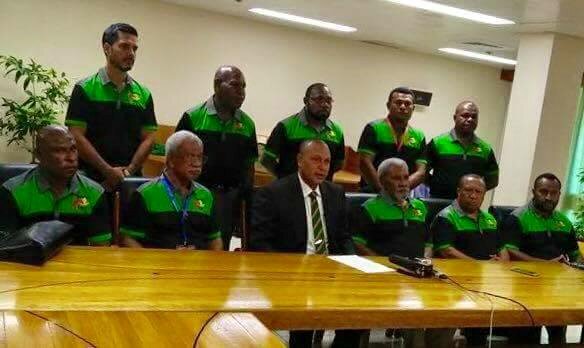 Sir Mekere Morauta has joined the ranks with Pangu Pati under the leadership of Sam Basil as the party leader together with 4 other Independent MP’s. The move by the 5 Independent MP’s brings the total numerical strength of Pangu Pati to 16. The 4 other members include Central Governor Robert Agarobe, Member of Rigo Lekwa Gure, Member for Wabag Dr. Tom Lino and South Fly MP Sekie Agisa. Sir Mekere on the behalf of the independent members said they were all pleased to join the 11 member team of Pangu because they believe in joining a strong political party to encourage and promote stability. Pangu Pati leader Sam Basil while welcoming the 5 Independent’s to his party boasted a stronger Pangu Pati who is ready to work together to progress development agenda’s in their respective districts. Mr. 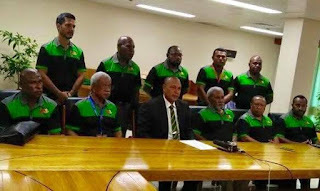 Basil challenged his team to make sacrifices while having belief in dialogue and respect to move forward as a team who is willing to transform PNG starting from the district level.